This Circuit helps in the monitoring of mains supply voltage. It does not use a isolation step down transformer. This has to be constructed only by skilled people with knowledge of safety requirements. C1 limits the current and drops most of the voltage. The zener regulated supply is for the chip. C2 can be raised to 220uF or more if required. 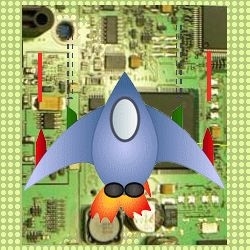 The bar mode display may consume more power. R2-R3-R5-R6 form a voltage divider to get a sample of the input voltage, D11-C3 get the DC value. Adjust R5 preset with a log Plastic tweaker to get the 5th led to just turn on when input voltage is at 138V AC. This has to be done after PCB is put in a sealed fire-retardant-plastic or epoxy box. drill a hole in box for plastic tweaker. Warning : This Circuit is Mains Operated without Isolation Transformer and will give lethal electric shock if touched when the circuit is turned on. Test circuit only with DC 9V Bench Power Supply to try it out. Do not use 230V AC. This is an electronic choke for a Conventional Fluorescent Lamp. This was an application note of MJE13005 a High Voltage Switching NPN Power Transistor. I Might have modified it. This was very popular in the early days, The Coil Winding and Ferrite is very Critical design. The diodes, npn transistor and caps are high voltage 350V-1KV, The tubelight is 40W-60W 5 feet long. This circuit replaced the choke and starter in an existing frame. This is a AC Control Input AC Output SSR Solid State Relay. When a Process Controller has an AC output or a system generates an AC signal of above 100V AC to signal the load to turn on, this device can be used. A BTA40-600 and MOC3041 are used in this. A high voltage plastic cap limits current to a bridge which generates a small DC from 230 V AC, this drives MOC3041. The rest is the same. It is better to use a DC control SSR where possible. This AC control SSR is used where only an AC control signal is available. The BTA series has the heatsink tab insulated from the Triac chip inside. The BTB needs electrical insulation to the heatsink. 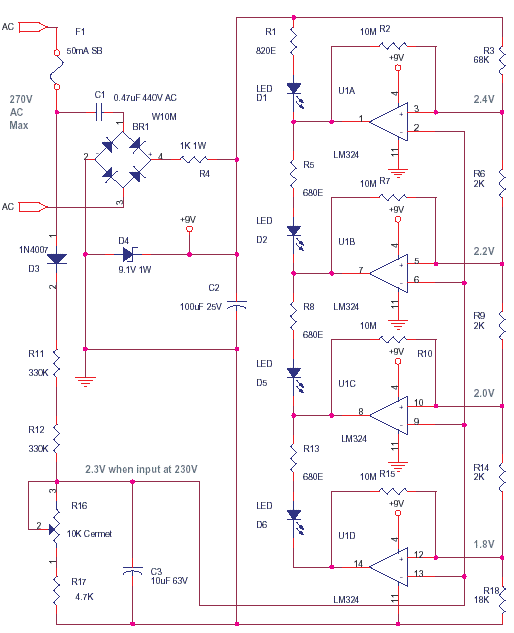 These devices BTA40600 and MOC3041 make SSR’s very simple. They have proved very reliable and rugged in the field, overrate your designs, use heat sinks and seal the SSR with thermally conductive epoxy. Alumina with ciba araldite without any other filler or dye is the best way to hermitically seal. 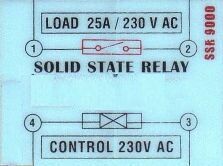 Read more at my main page – Solid State Relays – SSR I used to make them long ago. C1 0.47uF can be brought down to 0.22uF for low LED currents, use high efficiency ultra bright LEDs.C1 should be 440V AC or 630V DC plastic axial yellow, polyester, polycarbonate, polypropylene, metalized film. R3-R6-R9-R14-R18 resistor divider determines the LED turn on or threshold switch points, 10M for hysteresis. Adjust R16 preset with a log Plastic tweaker to get the led D2 to turn on when input voltage is at 220V AC. This has to be done after PCB is put in a sealed fire-retardant-plastic or epoxy box. drill a hole in box for plastic tweaker. The Voltage ramps up in the sine wave which gives a near “Linear” slope which can be used to trigger the ON at a time delay after zero crossing when the voltage is zero. This is like a PWM but works on low frequency only. Some of the early SMPS(HV for TV and Mains Inverter) by Siemens were built around SCRs. Turning off a SCR is a difficult job for a designer, MOSFETS and IGBT are now used for PWM drive stages. The Edsion Filament lamp may be less popular, but it is the most cost-effective light even today. It is very affordable, The light is soothing to the eyes and best of all gives a warm feeling. Sometimes due to the mains being restored when bulb is on, or a rapid flick of switch, blows it. This may be due to the cold filament resistance which is low, allowing a huge inrush current. 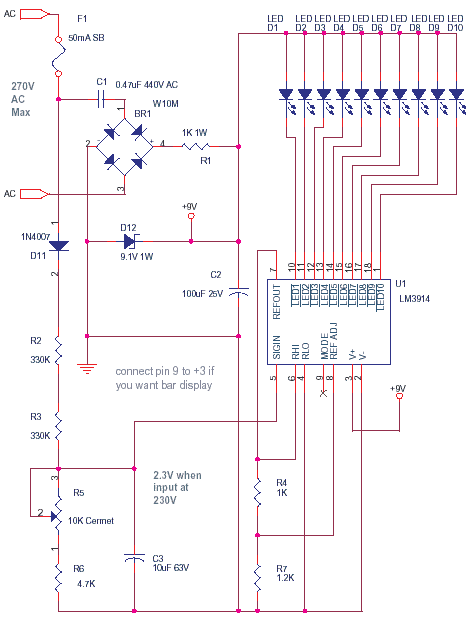 The problem can be solved with a soft start based on thyristor or mosfet using PWM etc. The circuit here is a low cost solution which may help a bit in reducing the inrush cold current Protection from long duration high voltages is also required but will make circuit more complex. Now why would anyone spend for a R-C network for a bulb, you could as well buy a new bulb. But I once got a back sprain while replacing a bulb in a hurry, So the price of the bulb alone is not the issue. 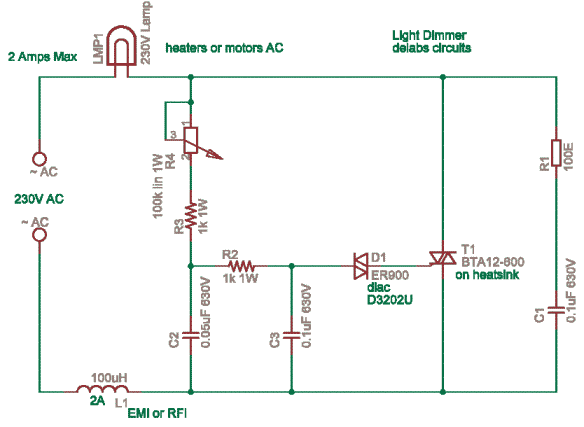 The two diodes 1A form a AC path with a switching delay of diodes, The R-C network is for soft start. The Varistor-Thermistor has a cold resistance 4.7E which reduces as it warms up. If switch is flicked rapidly or power fluctuates, then varistor cannot help as its response is slow. The 10E resistor ceramic fusible wirewound resistor and C1 does the job of absorbing . This circuit has not been tested for long times at multiple places, so i am not sure of its performance.